Monday January 2 – Rain arrived overnight and temperatures warmed just enough to limit any ice problems. Now we are in for a wet day with temps aiming for the 40s. A break between systems tonight, but even more rain and warming to the 50s tomorrow, but that storm will drag colder temps down behind it. 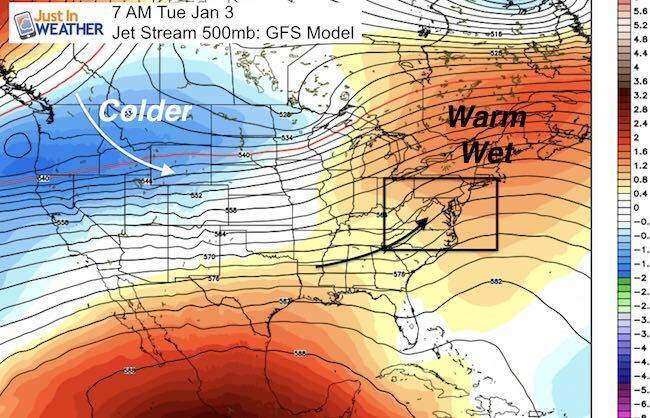 The jet stream will be dropping to our south by the end of the week allowing for an extended period of colder air. 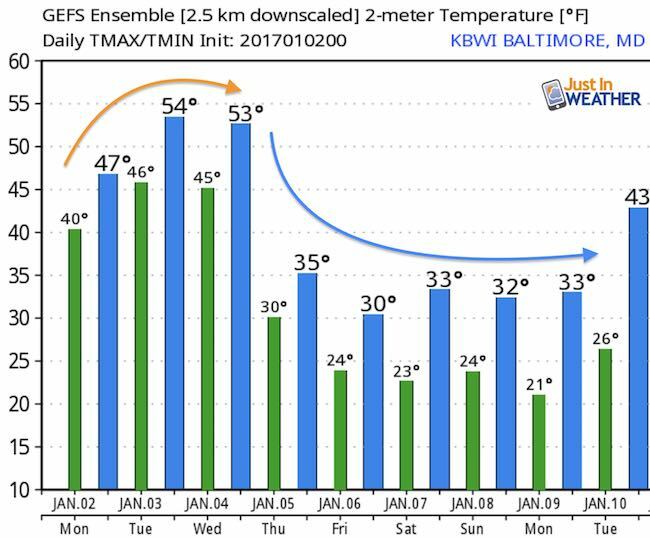 Temperatures by Friday inter early next week will stay below freezing for many of us. 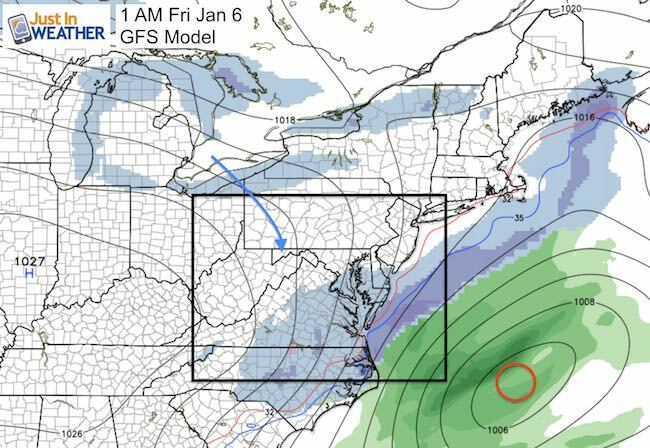 In the process, light snow will arrive late Thursday into Friday. 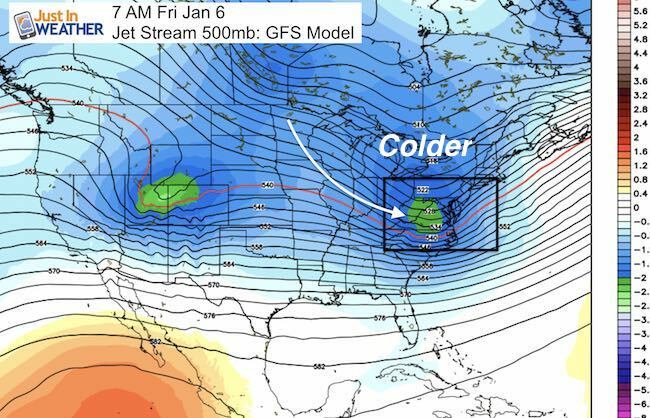 As for this weekend, there is still a chance for a coastal storm, but another day is needed for that energy to get closer to the west coast to be better assessed. Light Snow Into Friday Morning?? ?